Cruises begin on April 19th. We look forward to having you on board! At Kingston 1000 Island Cruises our theme is Food, Fun and Entertainment Ships! We are committed to fine food services, interactive entertainment and first-rate service aboard all of our vessels. 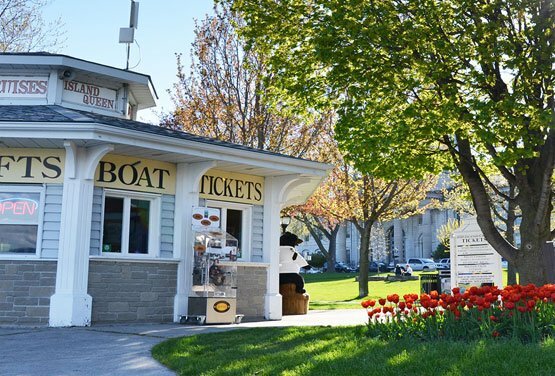 To our guests we offer daily sightseeing cruises, private charters, and a complete dining experience departing from Kingston, Ontario, Canada. All cruises depart from the wharf at 1 Brock street; please arrive at least 30 minutes before departure.